It’s never easy to find that perfect gift for dad. To help you plan something extra special this Father’s Day, TicketsatWork.com is featuring excellent savings on a great collection of sporting events, tours and popular attractions the whole family can enjoy together. Skip the tacky tie or funny coffee cup this year and let’s have some big fun for Father’s Day. We have dads covered coast to coast with amazing savings on TicketsatWork: Save up to 50% on Father’s Day Deals! Is dad a baseball fan? If so, TicketsatWork has savings for upcoming baseball games in Miami, New York and San Diego. 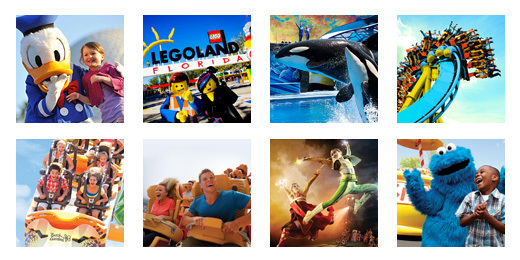 If the Sunshine State is your destination for dad, there’s a wealth of terrific theme park options for the whole family to enjoy. If you’re singing, “California, here I come…,” we have a downright sensational list of top spots for dad! If dad wants to take a bite out of the Big Apple, TicketsatWork.com offers fantastic deals all around the City that Never Sleeps. The whole family can also see some top attractions in NYC. Check out these nice options: Empire State Building, 9/11 Memorial, Top of the Rock Observation Deck, Intrepid Museum, and Madame Tussauds New York – all offering can’t-miss savings. All across the country, TicketsatWork has dad covered for special memories. Try our fun ideas for Father’s Day and save up to 50%!